Baker Dan Lepard writes a rare baking column in the Guardian newspaper in the UK, has an active web presence, and has written an engaging baking book, but here he visits with a serious home baker, Jack Lang, who lays out seven principles of baking. This quote caught my eye, because it's really true. Everyone thinks baking with sourdough is hard but it's actually more forgiving than instant yeast. 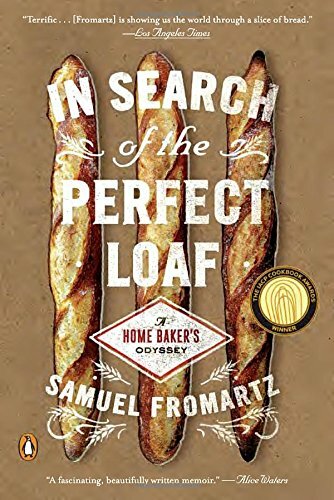 "...naturally leavened breads are very easy to manage, especially for the home baker, as the dough matures more slowly and the point when the loaf finally gets to the oven is less critical. I am convinced that naturally leavened breads, like sourdough, are great for the home baker and less problematic that other quicker yeasted breads." Now onto the seven principles (with my comments in italics). 1. Use a naturally-leavened starter. “Using a sourdough starter is easy,” says Jack. “You keep it in the fridge from one month until the next, and simply refresh a small amount when you need to use it.” (If you refrigerate it, refresh it at least two times before using it). 2. Keep practicing your ‘baking routine’ until you find a method that suits you. “It was the constant baking that improved my breads”, says Jack. (Really true, it's like music. The more you practice the better you get, especially because the craft is tactile). 3. “For many of the breads I bake”, says Jack, “I make the dough the night before and leave it overnight in the refrigerator”. This is a great help in managing your time when baking at home, when there are always other things to do. (I do this too. It improves the flavor of the bread and works with your schedule, so if you mix a dough Friday evening you can bake 8-24 hours later -- whatever works by your schedule). 4. Do keep a record of the temperatures of your flour, water, dough and room when you bake. “Temperature control is very important when you bake”, says Jack, “but don’t go overboard with it”. (Yes, and use a bit more sourdough in the winter and less in the summer, as higher temperatures speed fermentation -- the ideal though is 76-78 F). 6. Remember that when you bake brown, mixed wheat, rye or wholemeal loaves, you will not get the same volume in the finished loaf as you will achieve with white flour, nor as open a texture to the crumb. Just remember this and be content. (True to a point, see picture above. If you make a very moist dough with whole grains you can achieve a less dense crumb but moist doughs are hard to work with -- go back to point 2). 7. And finally, “Bake the dough from cold”, says Jack, who lets his dough prove overnight in the refrigerator at 4ºC (39F). This, he feels, gives a better result. (Sugars develop in a long slow rise, so the bread flavor will improve. The sour acidity in a dough also increases with lower temperature, so if you want higher sour notes by all means refrigerate for 12-24 hours. Depending on the degree of fermentation, though, you may need to let the rise continue at room temperature). Addendum: I just got Lepard's book, The Art of Handmade Bread: Contemporary European Recipes for the Home Baker , and am happily reading through it. Many of the recipes are unusual, from Scandinavia, Scotland, Russia, Germany and the Ukraine, incorporating age-old methods (such as soaking grains in wine, using ale, making your own malt). It reminds me a bit of Elizabeth David's approach in her classic, English Bread and Yeast Cookery , since she too paid serious attention to traditional home made breads. I'm excited to try these methods soon.